Cakes - You can not throw a party without them. Be it a birthday party or bridal shower or baby shower or anniversaries there will be cakes. Why go to special days, even your weekend parties won't be complete if you do not have cakes. When it comes to cakes, no one can say 'No' to chocolate cakes. why cakes? Anything with chocolates can't be ignored, at least it is like that for me. There are a different ways of baking a chocolate cake- With eggs, without eggs, the vegan way. But I am going to share a very very simple way of preparing cakes with eggs. I will be posting a recipe for chocolate cake without eggs soon. Once you have mastered the art of baking, you can do magic with your oven. Before sharing the recipe of simple chocolate cake, I want to share this crazy experience of mine. Its been over a month that I had bookmarked DK's Zebra cake. I wanted to try that cake. But, being an amateur, I did not want to take risk. Baking an ordinary cake itself is a great accomplishment for me. But,I was lured into making that cake. With a lot of confidence I headed to my kitchen and started preparing the dough for zebra cake. In that process, there is a phase where you have to separate the dough equally so that you can add coco powder in one to get zebra stripes. But, I made an amateur mistake. The dough I separated for mixing coco powder was more. So when I was putting the dough in layers, it messed up. But, I ended up in this simple chocolate cake which had a great taste and looked inviting. 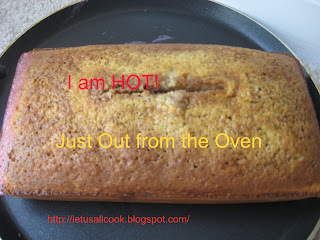 I would suggest all out there to bake! bake! bake! as you will end up in new recipes as I did which will do wonders at home. 1. In a bowl mix the flour and baking powder. 2. In another bowl beat the eggs and sugar till they are blended well. 3. Now add the vanilla essence and milk to the eggs and beat them for few minutes so that the mixture is well blended. 4. Add the flour little by little and blend it to the egg mixture. 5. Now, add chocolate syrup or coco powder and mix well. 7. Check with the help of a toothpick or fork whether the cake is done. The toothpick will come out clean if the cake is done. 8. Allow the cake to cool for 10 min. Enjoy! 1. Do not open the oven for at least the first 25 min as this will disturb the cake formation. 2.Do not over beat the mixture that will form bubbles. Even though you messed up with the recipe the outcome looks so good too, isn't it? The chaco cake looks so delish Sangeeth! Now waiting for the recipe. I am an amateur in baking too! Of course, I can bake a cake, but not good at decorating it. Good going Sangeeth,Baking can be addictive once u know the trick but it is absolutely trilling to eat your own cakes. wow! that looks delicious and yummy! hope u r going to send it for my b'day! can i have a piece in that? Delicious looking cake. Though u messed up with the recipe, it has come out beatiful. Chocolate cakes are always welcome..absolutely no occasion required,right?Homemade cakes always have that "extra" taste..My happiness knew no bounds when I baked my first cake,even though it didn't look pretty,it was simply delicious and that was a relief! 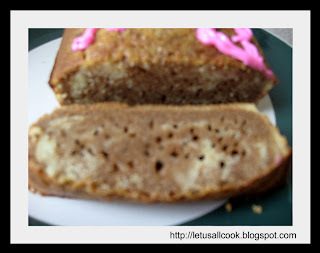 !Do try out the Zebra cake,as I tell everyone,if I can make it,anyone can!! Wow looks so easy to bake that cake. I will try this out soon. Yummy cake! !Expecting the version without eggs! !